Have you ever wanted to have two different queries open up at the same time where you could see them, either stacked on top of each other or beside each other? Guess what??? You can easily do this within SSMS. If you select a horizontal tab group, the two queries will be stacked on top of each other. Likewise, if you select a vertical tab group they will be beside each other. You can even select additional query windows and create more tab groups (of the same type – horizontal or vertical). Once you have a tab group created, additional menu items will be available to move to a previous or next tab group (depending on the number of groups you have created and the position within them). 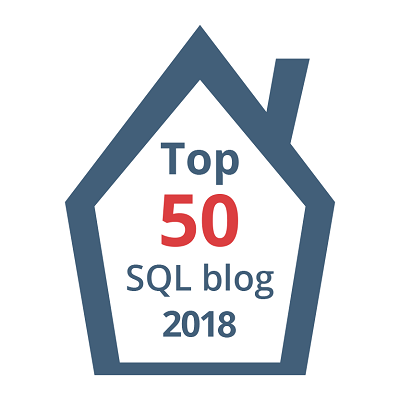 This post is for day three of my month-long blog series “A Month of SSMS Tips”. I have a landing page for the series at bit.ly/MonthOfSSMS. Please visit this page for an easy place to quickly view all of the other tips in this series. You can also just click on the tabs and drag them around to the different groups (or different tab order) without going through the “Move to Next Tab Group” menu option. Thanks for these tips. I am learning a lot of things I didn’t know.